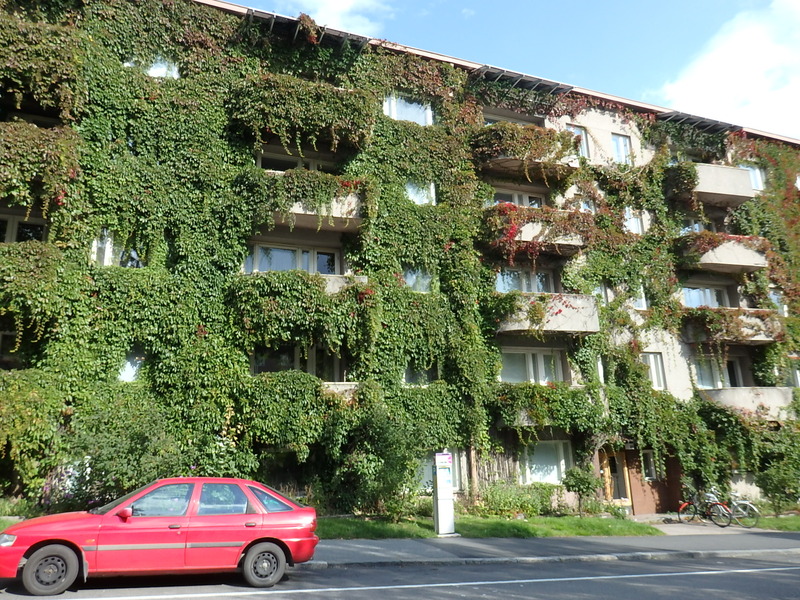 The past two days, I was in Jyväskylä, where I spotted this excellent example of funkis covered with ivy in the downtown. Maybe jvyäskyläisiä don’t know the song, but they probably don’t need to, seeing as how they live in a town so rich in manmade and natural beauty, and can keep themselves busy with that. I will be posting more about what I saw there in the coming days. Hello There, I just saw your comments about why some lovely old funkis buildings have to leave .. I would like to talk to you about another beautiful building in Imatra .. the building with the Center hotel and a supermarket .. Take a look at the building only.. and let me know what you think and how this building could come back to life and be loved again. I’m confused. Where exactly did I make comments that old funkis buildings had to leave? On the contrary, I think everything should be done preserve them, and that it’s mere laziness on the part of local authorities and the undue influence of construction companies that causes them to be demolished. For example, look at the Tiuru Hospital near Rauha: the Lappeenranta city authorities want it removed from the preservation list so they can demolish with a clean conscience, but it’s a glorious building in a glorious setting. As for the building in Imatra currently housing the Center Hotel, the K Supermarket, and the Suomalainen bookstore, among other things, are there actually any plans to demolish it? If the building is being used so heavily by so many businesses in what sense is it not living? I don’t understand your question. More generally, however, it seems to me that there is an anti-modernist trend in Finland in recent years and a lot of hostility or indifference towards modernist and late modernist architecture. As an example, take the horrible contest Helsingin Sanomat held a couple years ago to identify the “ugliest” church in Finland. They should have been ashamed of themselves.